Toro's Cast Iron Skid Shoes are extra wide providing for maximum life and durability. The added weight on the front helps to chew through deep snow piles. The skids are reversible for double the life. The kit contains 2 skids and the hardware necessary to complete the installation task. Fits John Deere, Husqvarna and MTD yard and garden tractors; 14 gauge steel blade angles left, center or right to 25 degrees. This 120V Electric Start Power Cord can be used with Ariens Sno-Thro engines with 120V starters. It measures 10 ft. long which offers an extended, hassle-free use your Sno-Thro engine. Designed for use with outdoor appliances. Each DK2 snow plow requires a custom mounting bracket designed specifically for your vehicle. 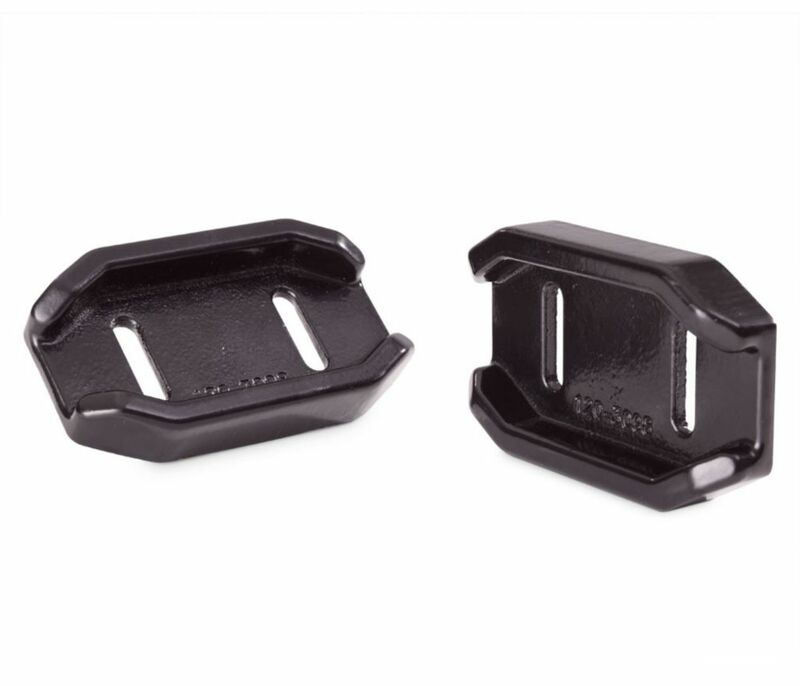 These mounts are specially designed to bolt into existing holes in the vehicle frame, which eliminates the need for any welding or drilling ensuring easy installation. Included in your mount are left. hand and right hand bolt-on mount brackets, the cross member that acts as a bridge between the left and right hand brackets ( the cross member is also the object that fastens the snow plow to the vehicle ). All installation hardware and hard copy installation instructions are also included. Please note that some mounting kits can fit multiple vehicle makes and models. Please consult the Custom Mount Guide to determine the correct mount kit number to order. Heavy Duty Cast Iron Skid Shoes for Toro Power Max and HD Snowblowers Model Years 2013 and Newer Toro's Cast Iron Skid Shoes are extra wide providing for maximum life and durability. The added weight on the front helps to chew through deep snow piles. The skids are reversible for double the life. The kit contains 2 skids and the hardware necessary to complete the installation task. Heavy Duty Cast Iron Skid Shoes for Toro Power Max and HD Snowblowers Model Years 2013 and Newer is rated 2.0 out of 5 by 1. Rated 2 out of 5 by bolderjoemama from It don't fit The spacing of the bolt pattern did not match my Toro 2-stage blower. I had to drill additional holes in the shroud to make it fit. Even after that, they don't fit flush with the shroud.